ADOPT one of the awesome, fully vetted dogs in our shelter! We have dogs of all sizes, ages, genders, and breeds, including both purebreds and mixed breeds. When you come visit our shelter, we will help match you with a dog whose personality will be the perfect match for your family. FOSTER a dog while it’s waiting for adoption! We have very limited space in our shelter. By fostering a dog while it is waiting to find its forever home, kennel space is opened in our shelter so that we can continue to save dogs. SPONSOR vetting costs or an adoption fee for one of our dogs! 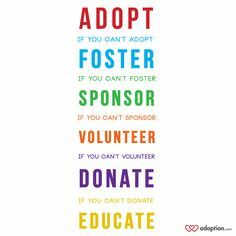 By sponsoring vetting or adoption costs, we will be able to reduce the adoption fee for a specific dog. Often, this will help the dog find a forever home more quickly. If you would like to sponsor the vetting costs or an adoption fee, please contact Colleen at (405) 547-2445. VOLUNTEER to come walk the dogs for an afternoon! We only have one person on duty each day, so that doesn't leave much time for walking or playing with the dogs. If you would like to volunteer to spend some time with our pups, please come by City Hall to fill out a liability release. DONATE by going to our Amazon Wish List or mailing a monetary donation! Being a small, municipal shelter, we have a very limited budget. We do the best that we can with this budget, but there are often gaps. We have put together an Amazon Wish List of much needed items that can be shipped directly to us. You can also mail or drop off monetary donations at City Hall. EDUCATE by sharing our Facebook posts! We post information about lost and found dogs and dogs available for adoption, along with health, safety, and training tips. Sharing these posts from our Facebook page will increase the chances that we can reunite dogs with their families or find adoptable dogs forever homes. SHARING SAVES LIVES!